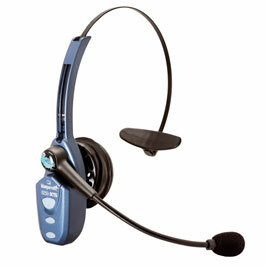 As with just about every product, the market for headsets has expanded rapidly in recent years. However, increased choice doesn´t always equate to a rise in quality. 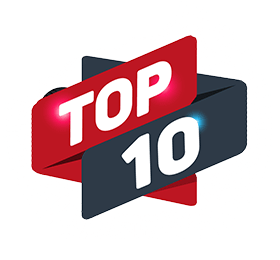 Here at Onedirect we´ve saved you the effort of searching by compiling a list of the top 10 office headsets of 2019. Take a look! 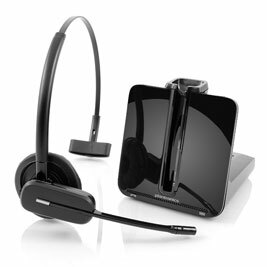 Consistently ranking as our most popular office headset, the Jabra Pro 930 Duo combines technology with functionality. 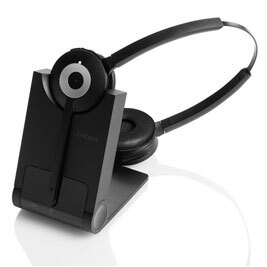 Certified for use with UC (Unified Communications), users found this Jabra headset easy to use and client-concerned. Moreover, the Jabra Safe Tone function and microphone prevent users from hearing background noise. With environmental responsibility in mind, the Jabra Pro 930 is optimised with the Jabra IntelliPower® system, allowing you to conserve energy and minimise CO2 emissions. 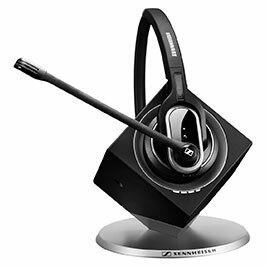 Generally agreed to be one of the most desirable office headsets, the Plantronics CS540 will provide the optimum conditions for your calls, with DECT technology capable of preventing network interference. It comes with an electronic hook switch cable and a range of up to 100 metres, meaning that you will have full flexibility in the workplace for every call. 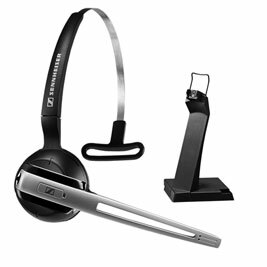 In third place we´ve listed the Sennheiser DW GAP Headset , which boasts an impressive range of 150 metres, as well as 12 hours of talk time - sufficient to cover you for an entire working day. The device is also able to be linked to 7 chargers, making it suitable for shared workspaces. Weighing in at just 22g, the Plantronics C565 is another top wireless headset with the much sought after DECT technology compatibility. Its irrefutably sleek appearance and modern, magnetised docking station provide 7 hours of talk time and make the Plantronics CS540 an undeniably worthy candidate for our list. The Orchid HS203 Binaural Headset brings noise-cancelling technology front and centre. With it noise-cancelling microphone, calls throughout the day cannot be interrupted or your attention distracted. Through its 2.55m jack and leatherette ear cushion, Orchid have established optimum sound quality and comfort as their top two priorities. Together with the storage bag and quick disconnect option, your needs will most certainly be met. Ranking at number six on our list is the Sennheiser DW Pro 1. 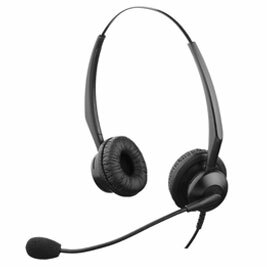 With a range of 180 metres, this headset can be the product you´re looking for to give your office the fluidity it needs. In addition, you can count on the Sennheiser to grant you optimum audio protection as it comes with the ActiveGuard function able to protect your ears to up to 85dB. Compatible with Microsoft Lync and with a rapid charging time of 50% in just 20 minutes, this headset could be the ideal choice for your office. Market-leading noise-cancellation technology and HD wideband audio make it difficult to ignore the headset BlueParrott have introduced here. The BlueParrott B250-XTS also has multipoint pairing abilities which allow it to connect to two devices simultaneously, and ensure that you won´t have to worry about missing a call. As the device is Bluetooth-connected, you will find that it can be easily paired to PCs and mobiles. 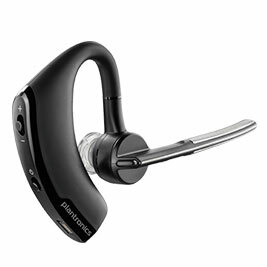 Eighth on our list is the Plantronics Voyager Legend: the very first truly intelligent Bluetooth headset, which lets you quickly take a call using voice commands, and without even a click thanks to the Smart Sensor technology that detects when the headset is being worn. Voyager Legend announces who’s calling and waits for you to respond with ¨answer¨ or ¨ignore¨, leaving you to drive, take notes, and go wherever business life takes you. 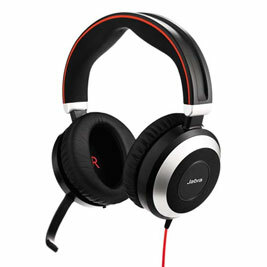 The Jabra Evolve 65 headset is specifically designed to improve conversation quality. 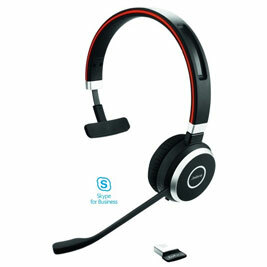 It is our top pick for any telesales or office environment because of its state-of-the-art noise cancelling technology. Its noise-cancelling microphone eliminates distracting and annoying background noise, allowing users to be more focused on their calls. 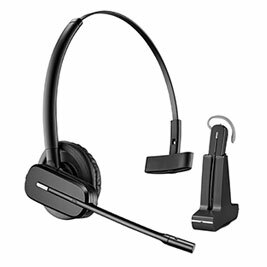 Available in Unified Communication and Microsoft Skype for Business, it’s one of the more comfortable and stylish headsets which makes it perfect for long business days. Number 10 on our list is the Jabra Evolve 80: a headset with the best noise-cancelling technology money can buy and an all-round outstanding choice for professionals. Users can connect quickly and easily to any PC with the included USB adaptor. Moreover, the Evolve 80 features a Listen-In function which allows you to clearly hear your surroundings whenever you need to be particularly careful. To top it all off, the headset´s large, leatherette cushions guarantee comfortability for all day use.